Over the years Winstel Controls has grown into many different areas and none larger than our expanding presence in the Residential Market. Beginning with the opening of our Hamilton location, and added warehouse space, we now have the market and the necessary space to inventory a complete line of residential products. 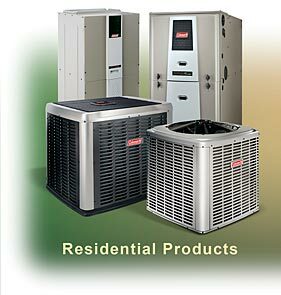 Winstel Controls is proud to offer a complete line of Residential Equipment and Indoor Air Quality Products. Our comittment to bring our customers the most diverse and highest quality products lead to a partnership with Coleman Heating and Air Conditioning, a leader in technology, efficiency, service, and quality. We are proud to offer a product line that can meet the needs of ANY situation. From builder grade equipment to the premium Echelon Series, we are ready to deliver on any request. Coleman also boasts the highest efficient gas furnaces on the market with up to a 98% rating. As for our indoor air Quality products, we stock anything from indoor air cleaners and steam humidifiers to the beauty plates that make the new thermostat look like it was always there. As with all of our business segments, WCI also has a strong relationship with Honeywell, as well as many others such as White Rodgers and Johnson Controls. As a result, we offer a wide range of product such as thermostats and zoning controls. We also stock a complete inventory of replacement parts such as gas valves, ignition modules, oil primaries, thermocouples, control boards and much, much more. One of the newest additions to our growing product offering is OEM Protech parts. We keep ALL current boards, motors, hot surface ignitors, contactors, capacitors, etc. to ensure the quickest possible repairs to your customers. Overall our residential capabilites run the gammet from sheet metal fabrication to air cleaners; from new installs to replacement and routine maintenance parts. Call today for any of your needs big or small. Make Winstel Controls your first call for all your residential needs!